The claustrophobic confines of the Armco-lined Monaco circuit have never produced the most thrilling racing in Formula One. Yet the streets of the principality have a justified reputation as the most daunting test of driving concentration and precision, and victory at Monaco is a treasured addition to any F1 driver's CV. Failure at Monaco can carry equally weighty consequences. Ayrton Senna's confidence took a dent when he crashed out of a comfortable lead at Monaco in 1988, and Michael Schumacher's Championship campaigns were both damaged by Monaco setbacks in 1998 and 2000. The extreme highs and lows of Monaco were again in evidence in 2005. For McLaren's Kimi Raikkonen, Sunday's victory should finally put to rest any lingering doubts about his champion pedigree. Raikkonen has suffered unjustified criticism following his 2003 and 2004 campaigns. After notching up just a single win (to Michael Schumacher's six) in 2003, Raikkonen was accused of being a points accumulator, a journeyman who lacked the winning instinct and who lucked into a Championship near-miss through superior reliability. 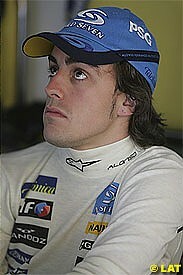 McLaren's poor form in 2004 did little to mitigate the claims against the young Finn. A closer analysis reveals that Raikkonen could easily have tripled his win tally in 2003, being robbed of victory only by the timing of the bizarre race stoppage in Brazil and by mechanical unreliability at Nurburgring, where he was the class of the field early in the race. His sole victory in 2004 (at Michael Schumacher's favoured hunting ground of Spa-Francorchamps) was one of the best drives of the year. Clearly, Raikkonen's talent was worth more than his paltry two career wins (by the end of 2004) suggested. Raikkonen's dominant back-to-back wins in Spain and Monaco were worthy of Michael Schumacher, and certainly worthy of the driver to whom Raikkonen is most often compared - his own Finnish compatriot and two-time champion Mika Hakkinen. And Raikkonen knows it. In rarely talkative form during Sunday's post-race press conference, the Finn enthused: "It is just the same, you get ten points from this race, but this is a special place and everyone looks (at you) in a slightly different way when you win in Monaco." For much of the first half of the race, it looked as though Raikkonen's easy win would have limited Championship benefit. If Renault's Fernando Alonso had held on for second place, the Championship gap of 27 points would have been cut by just two. But rear tyre wear problems on the Renaults dropped Alonso back to fourth, his first non-podium finish of the year, and teammate Fisichella was demoted out of the points placings altogether. The Renault failure introduced a key factor that had been missing in this year's Championship until Monaco - the element of doubt. As long as Alonso continued to rack up the podium finishes, it didn't matter what the rest of the field did, he was still an overwhelming favourite for the WDC title. It wasn't just the loss of three additional points (in dropping from second to fourth) that hurt Alonso. Monaco has broken his momentum too. Other than the mental confidence factor, there is no scientific or logical basis for this momentum phenomenon. Each driver and each team starts each new GP weekend with a clean slate and facing a fresh set of challenges from a different circuit than the previous GP. Yet it's a common and recurring trend in F1 that good luck and form tend to perpetuate themselves, and bad luck often strikes just when teams or drivers think things couldn't get any worse. Alonso himself seemed to recognise the importance of maintaining his podium streak on Sunday, particularly when his third place came under pressure from Williams' Mark Webber late in the race. At Imola, Alonso had commendably soaked up immense pressure from Michael Schumacher without putting a wheel off line. At Monaco, his straight-lining tactics at the chicane were desperate and borderline illegal. The Spaniard surely escaped punishment on a technicality, as Webber had also put wheels off the circuit in his attempts to pass. Nevertheless, Alonso couldn't count on the stewards ruling in his favour, and any penalty would have demoted him to at least eighth and the loss of four more precious WDC points. Alonso's ill-advised reaction to his first downswing in fortunes will have given a welcome boost to Kimi Raikkonen's mindset. Contrary to the form he's shown all season, the Spaniard is still susceptible to mistakes under pressure, and Raikkonen will hope to profit from that in the upcoming races. More importantly, and quite perversely after a weekend in which they surrendered yet more points to their rivals, the Renault problems have given a faint whiff of hope to strugglers Ferrari. It's no coincidence that both McLaren chief Ron Dennis and Ferrari sporting director Jean Todt are still talking up Ferrari's Championship hopes. Prior to Monaco, Michael Schumacher's task of overhauling Fernando Alonso's 34-point WDC cushion was seen as a Bridgestone too far. Alonso's loss of form, combined with Raikkonen's emergence as the main Championship challenger, has split that huge task into two smaller chunks. Raikkonen is only fifteen points ahead of Schumacher, a gap that the German has proved he can overcome in 2003. If Schumacher can whittle away Raikkonen's lead while the Finn in turn erodes Alonso's advantage, then Schumacher should theoretically come into play late in the Championship. It will still represent an unprecedented comeback but, as Ron Dennis attests, the elephant can only be eaten one mouthful at a time. It may seem unthinkable that anybody could even challenge, let alone outscore, Raikkonen on current form. Yet Ferrari's form is not as bad as it looks. Over the past three GP, on very different circuits, Schumacher has set two fastest race laps (Imola and Monaco) and been pipped for fastest lap by just seven thousands of a second by Giancarlo Fisichella in Spain. With a light fuel load and race-worn tyres, the Ferrari is very quick indeed. Admittedly, Raikkonen is doing his hardest driving early in the race, and has usually backed off by the time his fuel load lightens, preventing him from matching or beating Schumacher's times. Still, the Ferrari can match and beat the McLaren if Bridgestone can rediscover a performance edge. Poor qualifying, and consequently getting bogged down in traffic during the early stages of the race, has been Ferrari's key weakness. The decision to revert to the old single qualifying session from Europe onwards will be a small but significant boost for Ferrari's prospects. If the change in qualifying format can likewise work against Renault's impressive qualifying statistics so far this year, it could become a major factor in the Championship. The other key factor in McLaren's and Ferrari's favour (along with Williams) is their proven development ability during the season. For most of 2004, Renault and BAR battled to claim 'best of the rest' status behind Ferrari. Yet, during the final third of the season, it was McLaren (Raikkonen in Belgium) and Williams (Montoya in Brazil) who took the only non-Ferrari victories. If Alonso is to maintain his Championship cushion, Renault need to find answers to their tyre wear problems, and fast. Unfortunately for them, the problem couldn't have surfaced at a worse time. With seven GP in the next ten weekends, including the return transatlantic crossing for the North American leg of the Championship, the teams' focus will be on racing rather than testing. Renault are confident that they will avoid tyre wear problems at Nurburgring, but that in itself may not be enough. Williams have taken a huge step forward, McLaren will continue to improve, and Ferrari's race pace looks ominous too. Just as in most previous years, the eternally successful triumvirate of Ferrari, McLaren and Williams are gradually outdeveloping and outdistancing the competition as the season wears on. Kimi Raikkonen will arrive at Nurburgring feeling that the circuit owes him something. Raikkonen reckoned, with some justification, that it was his McLaren's engine failure at this track that cost him the Championship in 2003. He will return not as a timid points accumulator daring to dethrone a legend, but as a proven winner looking to unseat a queue-jumping upstart. If it's Raikkonen's turn to hold up three fingers on a triumphant victory lap next Sunday, and if Alonso finishes off the podium once again, the race for the 2005 WDC title will be well and truly rejuvenated.